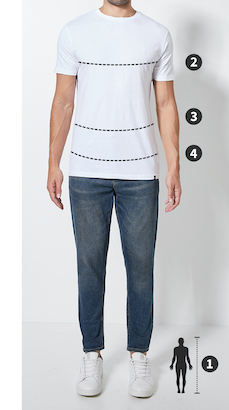 Please note that Superbalist men’s jeans, trousers, shorts, and swimwear is designed to fit the following waist measurements. Some brands may vary from these measurements but the table can still be used as a guide. Zip-up and go in this fresh pair of skinnies. Made with a faded look on the knees, they’re great for wearing off-duty. Team with an oversized sweater or check shirt and complete the look with low-top sneakers.